Heroes don’t kill. As a child, I never questioned that unwavering rule, and never came to the conclusion that things would be better off if Robin started cutting people’s throats open and letting them bleed out just to prove a point to his dad. 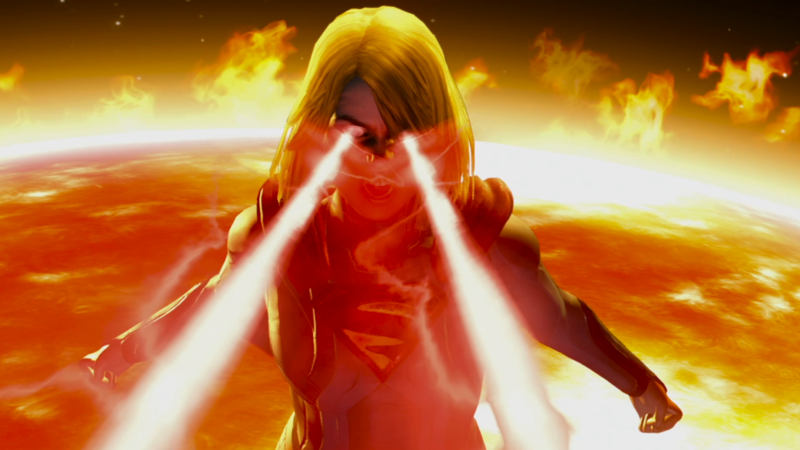 And yet, there was something I couldn’t quite take my eyes away from in Injustice, and it’s here again in Injustice 2. These paragons are heroism that I never believed could take a life, acting like the villains they hunted… And, despite not being the biggest DC fan, I couldn’t turn away. Everything starts when the Earth is in danger once again, this time Brainiac’s alien forces are moving in to tear the planet to pieces, just as he did Krypton before, and with Superman still locked away following the events of the first game, the situation is looking dire. Once again, it’s Batman’s allies of justice bickering with Superman’s entourage as a world-destroying menace hovers above them. Typical egos. The story mode, much like the first game, is shockingly impressive. Cutscenes are vivid and detailed, almost good enough to convince some that a new CGI DC universe movie has released. Characters faces and emotions look accurate, believable, with many falling into the uncanny valley territory. It’s this weighted, realistic presentation that makes the bombastic action scenes that much more impressive. That carries across to the actual fights, too. Everything feels incredibly weighty, from your fastest jab to the heaviest kicks, and launching an opponent across the stage with one of your strongest moves, only to combo them in the air, feels incredibly satisfying. Couple this with the Meter Burn you can use to cancel and extend combos and you can do massive amounts of incredibly satisfying damage. And that’s forgetting about the Super moves – which are, arguably, not as useful as the Meter Burn, but all look so incredibly flashy and satisfying. So then with all the depth that’s at play here, it’s also nice that Injustice 2 has remained incredibly newbie friendly. The face buttons offer easy to understand Light, Medium and Heavy hits, which can combo into one another in that order. There are your usual command moves and specials, but these aren’t hard to grasp even for new players. One shoulder button offers a grab, the other interacts with stage objects, and slapping both triggers activates a Super – these easy to understand controls, which are clearly designed with a gamepad in mind rather than an arcade stick, are a revelation in simplicity when compared to many other fighters. And then there are new game additions, a surprising favorite being in-game gear and loot. Mother Boxes now contain character customization pieces, such as Torso, Leg, Arms and Headgear. They offer stat boosts that can be used in singleplayer content, but the highlight has to be the customization itself, allowing the player to truly craft a unique variant on their main character, with rarely two Batman or Firestorm players looking the same. That’s another thing that I can’t help but appreciate Injustice 2 for – making me care about DC characters I’ve never heard of. Honestly, I’m not all that sure who the likes of Firestorm and Blue Beetle actually are, let alone Captain Cold, but their fascinating portrayal in the story mode coupled with their flashy fighting styles make me want to know more about them. And with all of these factors, NetherRealm have managed to create on the most interesting and addictive fighters I’ve played recently. When playing online, each match I’m making progress, either with my skills, or with the gear rewards I unlock and currency to spend on more Mother Boxes and, yes, you guessed it, more gear. It’s a satisfying feedback loop that gets moreish fast. 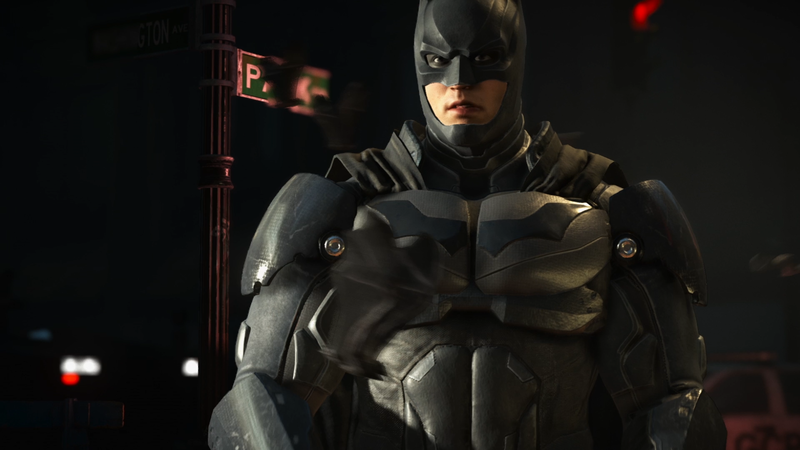 If I had to make a complaint, it’s that the RPG elements available Injustice 2 – such as leveling up specific characters to be able to use certain parts of gear – are a bit frustrating. No one wants to unlock a rare, unique piece of armor, only to be told they can’t equip until they’ve played Batman for another few hours. A minor criticism, to be sure, but it definitely took the wind out of my sails when I saw how much interesting gear I had unlocked and couldn’t use unless I levelled up each of the characters individually. One could argue it’s more to work towards, but to me it felt like an unsatisfying timesink, when the gear should be an instant reward. Reviewed on PlayStation 4 (code provided by the publisher). You can buy it for PlayStation 4 or for Xbox One via Amazon. All in all, Injustice 2 is surprisingly fantastic. Combat feels very weighty and satisfying, the graphics look incredible, characters look fascinatingly detailed and even the bass-heavy sound design is top notch. 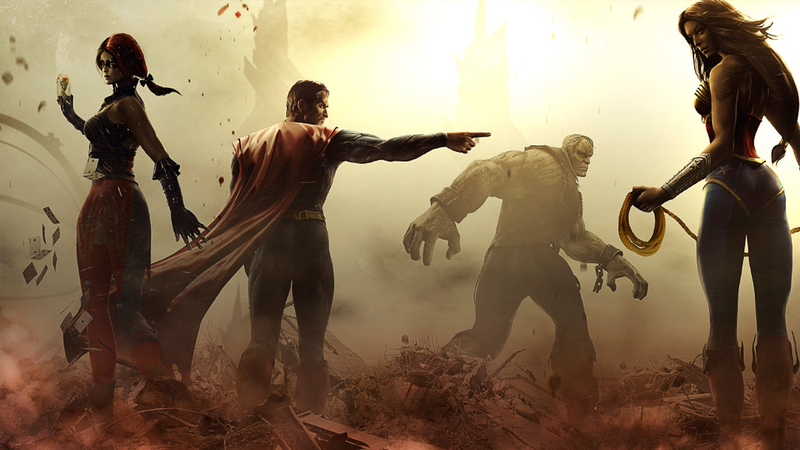 DC and fighter fans should definitely be giving Injustice 2 time.